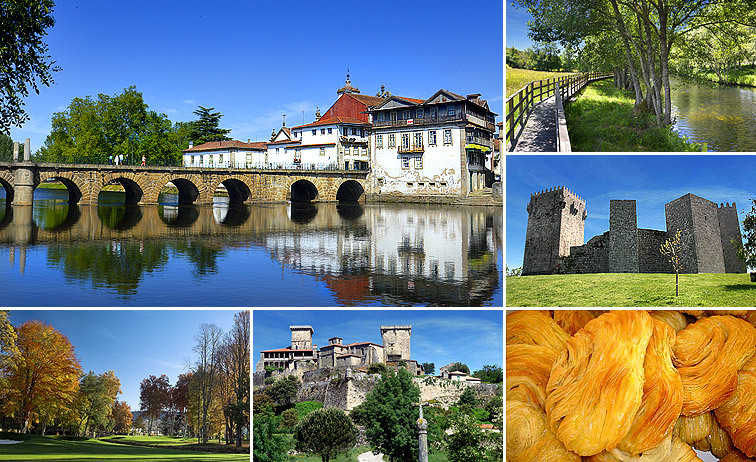 A few kilometres from the city of Chaves is located the ancient and important village of Casas Novas with its emblematic Solares, Manor Houses, Farms and other important motifs of cultural interest such as the numerous traces of the Roman occupation and the Celtic cultural presence. Quinta do Souto or Casal do Souto is a referential example of a tillage bench and one of the oldest housing clusters of the Village. Framed in the Chapel of St. Bernardine of Siena Square and converted into a high level of comfort accommodation, it offers an excellent location for the discovery of the Trás-os-Montes region, rich in hydrotherapy, cuisine and genuine traditions. 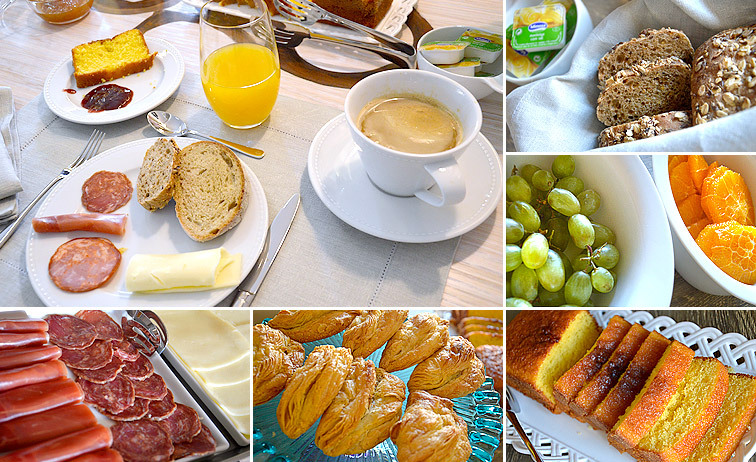 The Breakfast is served in the dining room or outside, depending on weather conditions. Self-catering is available on request in the Wine Cellar’s Suite. 1. Take advantage of the prime location of the Quinta’s swimming pool to enjoy a few hours of pure relaxation. 2. With 5 hectares, the Quinta offers a diverse landscape of hazelnut, chestnut, mines, dams and woods. It deserves a serene and quiet walk. 3. If you prefer to take a ride around the neighborhood, take advantage of the available bikes and traverse the rural roads, discovering the mountain villages. 4. Coming back, discover the charms of Casas Novas and its incredible heritage, from the Manor Houses to the traces of Roman occupation and Celtic culture. 5. Finish with a visit to the beautiful Chapel of St. Bernardine of Sena, dating from the eighteenth century and framed in the Square in front of the Quinta. 6. On hot summer days, enjoy the shadows of the Barbeque or Garden Sheds and have a nice refreshing drink (lemonade, blackcurrant, sangria or tea). 1. Chaves is the heart of the region. Visit its historic center, contemplate its traditional balconies, cross on foot the ancient Roman Bridge of Trajan and visit the Castle, the forts, the SPA and even the Casino. 2. Beyond the city limits, visit the Biodiversity Park and feel in deep communion with nature. 3. At the gates of the Peneda Geres National Park, enchants for its medieval atmosphere, its fairs and festivals. 4. Both dispense presentations. Simply indulge the sublime beauty of the parks in each of the locations. 5. Galicia is so close that worths a visit. Do not miss: the historical center of Monterrey and its Castle, in the vicinity of Verin. 6. Chaves cuisine is exceptional. From the famous ham to the pastels and all kinds of sausages. belongs to all of us. 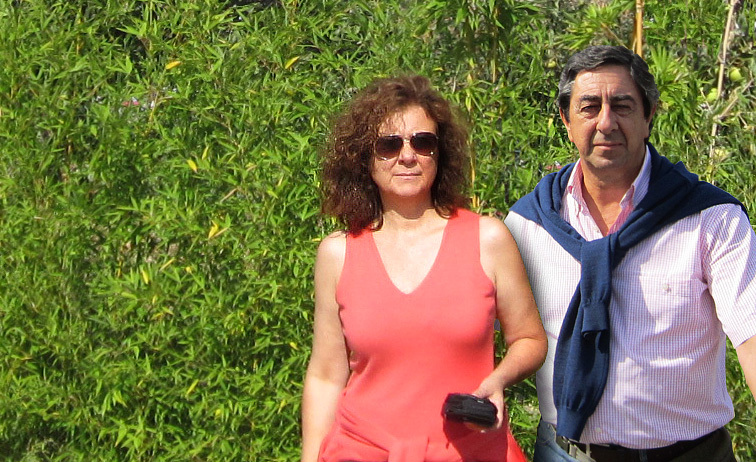 Did you like Quinta do Souto? 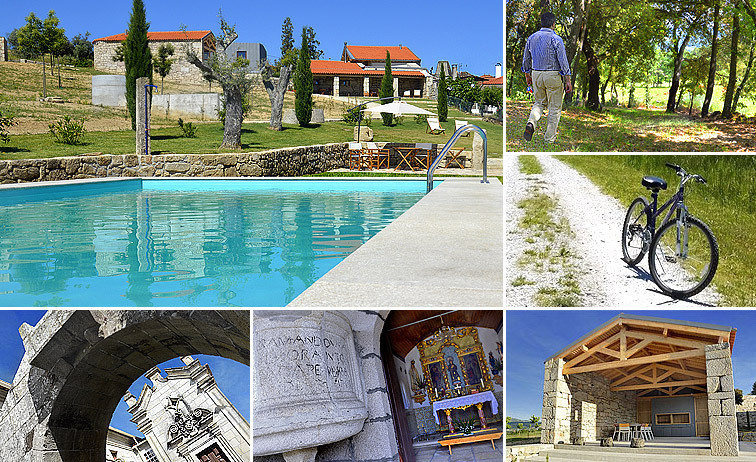 Visit wonderful.land and discover other well kept secrets in Portugal.